McGrath Cheese Company makes hand crafted cheeses in New York's Hudson Valley using milk from small local farms. Cheese Maker Colin McGrath is the founder of McGrath Cheese Company. Colin began his career in the food industry at the young age of 15. His work in restaurants fed his passion for food and led him to study at and get his degree from the Culinary Institute of America in Hyde Park, NY. Colin's work in the food industry then led him down a different path as he fell in love with the art, science, and tradition of making cheese. At the age of 20, Colin became Head Cheese Maker at Sprout Creek Farm in Poughkeepsie, NY. Colin's cheeses have been nationally recognized over a dozen times. 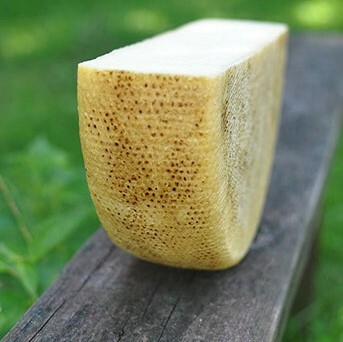 Some of his proudest recognitions include: 1st place in the United States Championship Cheese awards, 2 Good Food Awards, 1st place in The New York State Fair Dairy Competition, Multiple 1st places in the American Cheese Society Annual Competition, and 3rd Best in Show at The American Cheese Society Annual Competition. Colin has now turned his dream into reality by founding McGrath Cheese Company. Colin knows that high quality milk is the backbone of the cheeses he creates. Therefore, he is committed to building good relationships with local farmers and giving them a fair price for the best, local milk available. Colin lives in New York's Hudson Valley with his wife and two children.